Kids from Pre-K to 8th grade are invited to participate in the Mini Mavs Cheer Clinic, Nov. 24. Join us for our Mini Mav Cheer Clinic on Nov. 24. Anyone from Pre-K to 8th grade is invited to participate. 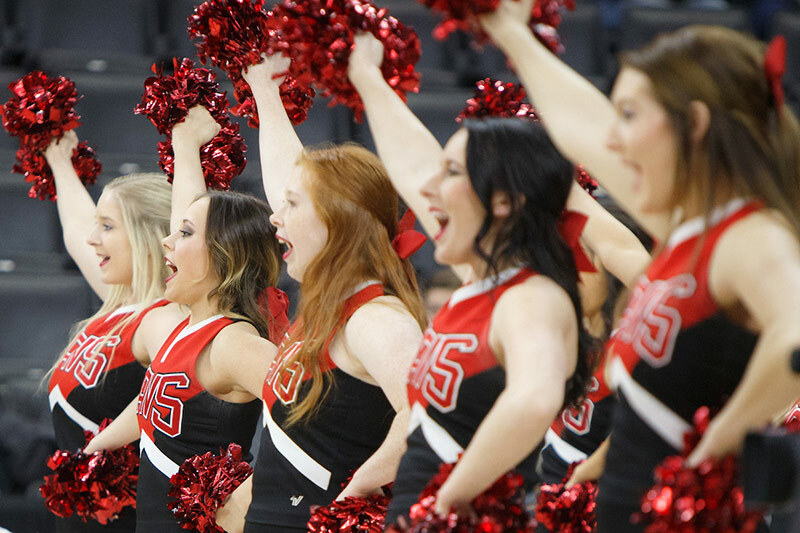 The cost for the clinic is $40 and will be held inside the SAPP Fieldhouse from 9 A.M. - 11 A.M.
Mini mavs will learn a routine from the UNO cheerleaders, receive a t shirt, and perform the routine during halftime at the men’s basketball game. The basketball game starts at 1 P.M. in Baxter Arena later that day.